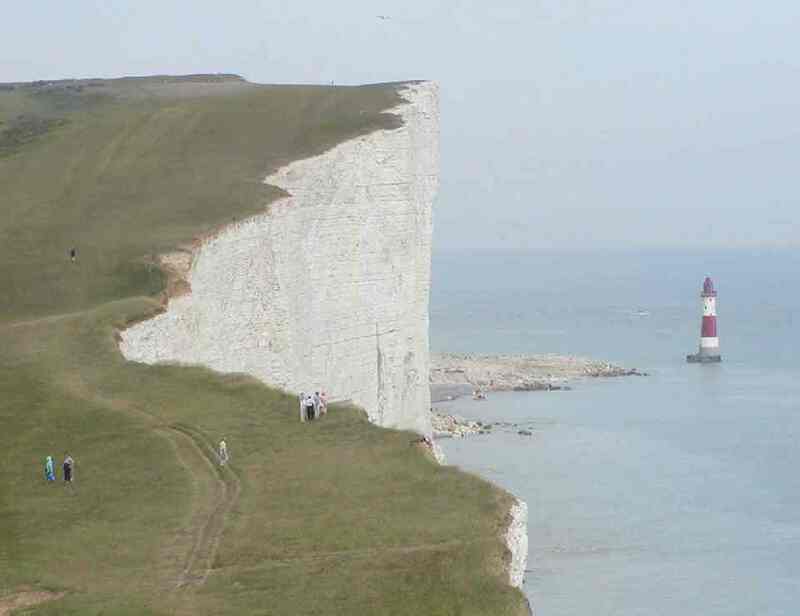 The Beachy Head Pub........a walkers haven!! On preparing for our mini break away, i had searched the Internet for possible eateries around Eastbourne for us to try. This was the one which really caught my eye. Their website gave the promise of somewhere to make the most of the weather, rain or shine. It indeed did so for us....after a walk along Beachy Head which was very windy, the pub gave us respite from the bitter wind and into a warm, cosy atmosphere. The staff made us feel very welcome, making us feel at home straight away. With beautiful views across the Sussex countryside and the coastline, we sat at a lovely window table. It is possible to do the 3 courses and a drink for £20 as Grubgang tries to fulfill. We decided on 2 courses today. Daily specials are printed out for each table in case you do not see the chalkboards, adding some interesting alternatives to the already extensive menu. The seasonal menu offers a wide range of pub classics, grills, specials and fish. Pork fillet with honey roast sweet potatoes and Game casserole were our choices today, which were absolutely delicious. We did have one complaint about the food, that both our dishes had something missing from them. The pork was supposed to be served with spinach to which there was no sign and the casserole promised dumplings which could not be found on the plate! Despite this, the food was lovely and even the desserts were simply devine!! I tried the spiced apple sponge pudding which came with enough pouring cream to drown in!! Soft, light and fluffy and totally what i needed to end my meal!! Dean ordered the profiteroles and was absolutely aghast at the size of them!! The facilities are not that great to be honest. They are in desperate need of a refurb and a bit of a clean. They were also boiling hot!! I know it isn't summer yet, but there was surely no need for the heating to be up quite so high!! But, all in all we thoroughly enjoyed our visit to this pub and would recommend it to anyone visiting Beachy Head. In fact, we can vouch for the vintage Inns in this area as we stumbled across another pub along the Seven Sisters country road called The Golden Galleon. We popped in for a three course meal, not realising until looking at the menus that we were in another Vintage Inn!! Again, a fantastic meal well worth visiting and the views across Cuckmere Haven was lovely too. Well done, Vintage Inns.... two lovely pubs! !